Current reigning world champion singer? Is Mariza currently the unified world champion singer, across all disciplines? I recently bought Mariza's 'Concerto Em Lisboa' CD and, for good measure, rented the DVD as well. The thing that struck me was, as usual, the bleedin' obvious. She's a fantastic singer. No second takes, no overdubbing. Totally immersed in the emotion of each song. At one point she even breaks down during the last song, O Gente Da Minha Terra, as she's so overcome with its emotion (and, having watched the DVD, it's no affectation, it's genuine). She didn't even do her party piece of singing without any microphone (which, having seen her live a couple of years ago, is truly impressive). Is Mariza the undisputed world champion singer of our time? The Aretha of the 2000s? Or are there any other contenders who could go 12 rounds with her? I don't think Mariza's the best really. She's a bit miserable. Do you mean the best female singer? For female Jasmin Levy and Oumou Sangare come close. For male Thione Seck or Salif Keita. 9 hours singing practice a day ! Is Yasmin Levy a happy-go-lucky barrel of laughs then Des ? Last edited by Chris P on Mon Mar 17, 2008 3:11 pm, edited 2 times in total. Chris Potts wrote: Kaushiki Chakrabarty ? Blimey that's a bit good innit? Do you mean the best female singer? She laughed at the one about the white horse who goes into a pub and asks for a whisky. Des wrote: She laughed at the one about the white horse who goes into a pub and asks for a whisky. It's the way you tell 'em. Des wrote: It's the way you tell 'em. 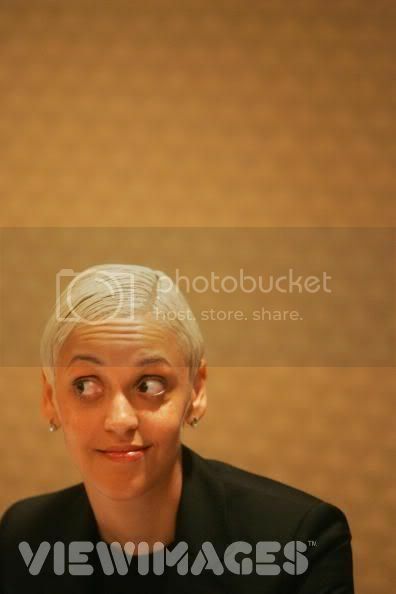 Mariza sure ain't my reigning world champion singer, although I don't know who is. I'm not into reigning world champions. Too restrictive â€” and what criteria would ever make sense, anyway? Too restrictive â€” and what criteria would ever make sense, anyway? No restrictions, other than current form. Any genre, any gender. And the only criteria would be a voice that moves you (as in moves you emotionally, not moves you to hit the 'off' switch).